Have you ever wondered what it would be like to watch a Chopped-like cooking competition on the Hallmark Channel? Viewers will soon know when they tune into the network's latest film, Just Add Romance, starring Luke Macfarlane and Meghann Fahy. Their characters, Jason and Kelly, connect in culinary school, only to be separated by career opportunities. But the hint of a spark they experienced in the past becomes a full-fledged flame when they meet once again under the pressure of a cooking competition show. TV Insider caught up with Macfarlane, who is best known for his work in shows like Killjoys and Brothers & Sisters, as well as a few Christmas films for Hallmark. The actor describes his character as "a family guy but also a guy looking for love." Below, Macfarlane dishes up some sweet behind-the-scenes secrets and more. Lucky, lucky us! 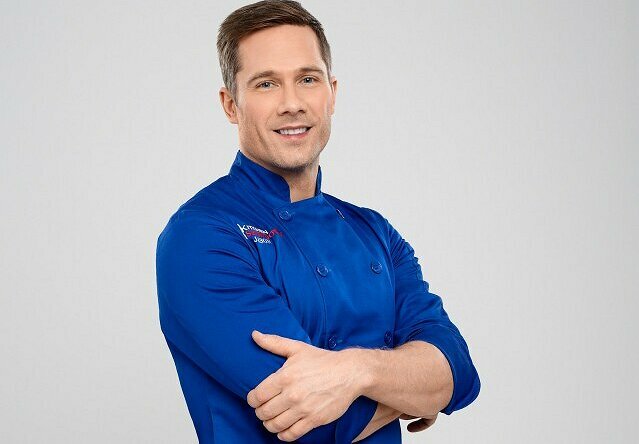 Three months after the completely charming A Shoe Addict’s Christmas, Luke Macfarlane returns to Hallmark Channel Saturday night (March 2) in Just Add Romance, delivering a lovely companion to his other non-holiday gem, 2017’s Birthday Wish. I spoke with Macfarlane earlier this week about the project, and got a little tease on the final season of Killjoys. Meeting in culinary school, Carly and Jason develop chemistry while playfully vying to be top chef. Jason suddenly disappears, but they meet again three years later, on “Kitchen Showdown,” competing to win their own restaurant. Caught on camera sharing heartfelt gazes, the smitten chefs are competitive yet still supportive of one another. But when they become finalists, emotions boil over and Carly is led to believe Jason’s copying her dish. Only one can win, but if their relationship winds up on the chopping block, they both will lose. Luke Macfarlane is sprinkling a little romance into his life. The Brothers & Sisters alum and Killjoys star leads the latest Hallmark Channel original movie, Just Add Romance, about two competitive chefs, Carly (The Bold Type's Meghann Fahy) and Jason (Macfarlane), who meet in culinary school and have ambitious dreams of one day owning their own restaurant. After years apart, they have an unexpected reunion on a Chopped-lite cooking competition show, where they show off their food smarts while also sparking up a romance. As Macfarlane tells it, the Hallmark vet -- he's starred in a handful of original films in recent years -- was particularly intrigued by this story, in that it took the tried-and-true Hallmark formula of a meet cute-turned-innocent romance and turned it on its head, by having (spoiler alert!) its two romantic leads exploring a relationship midway through the story. Ahead of Saturday's premiere, Macfarlane, who is openly gay, spoke to ET about his latest Hallmark project, the chances of an LGBT rom-com on the network and the final season of Syfy's Killjoys. On Location - Just Add Romance. Go behind the scenes for a closer look at "Just Add Romance" with stars Meghann Fahy and Luke Macfarlane. 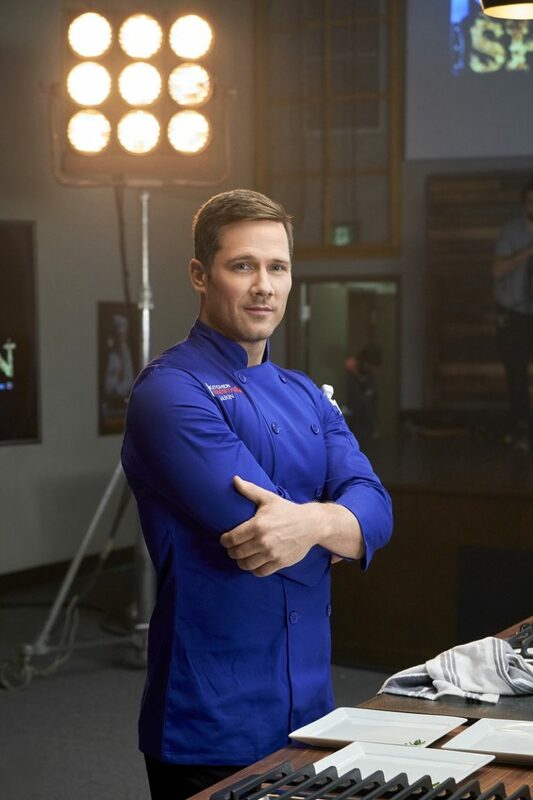 Photos Promo "Just Add Romance" - Starring Luke Macfarlane & Meghann Fahy - On Hallmark Channel - March 2, 2019. 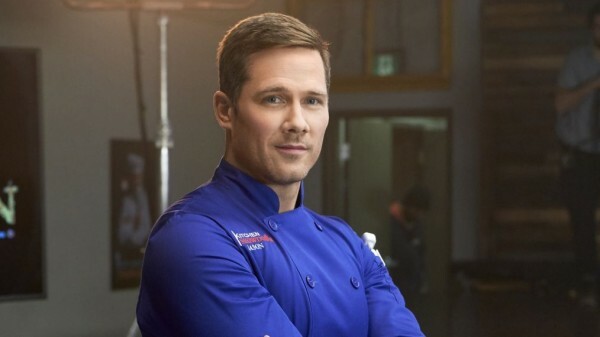 Preview "Just Add Romance" starring Luke Macfarlane & Meghann Fahy - On March 2, 2019 on Hallmark Channel. 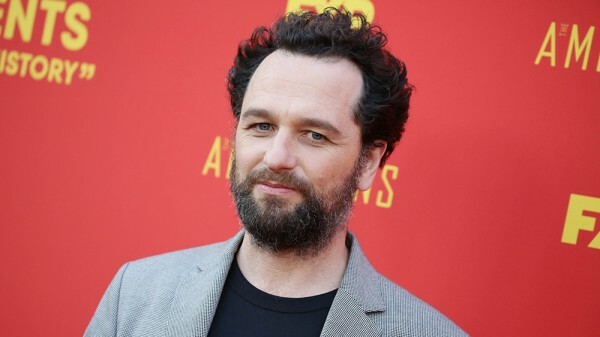 Matthew Rhys attends rag & bone's A Last Supper in celebration of its Fall 2019 collection on February 8, 2019 in New York City. Matthew Rhys & Keri Russell attend the 71st Annual Directors Guild Of America Awards at The Ray Dolby Ballroom at Hollywood & Highland Center on February 02, 2019. Matthew Rhys & Keri Russell attend the 25th Annual Screen Actors Guild Awards at The Shrine Auditorium on January 27, 2019 in Los Angeles.